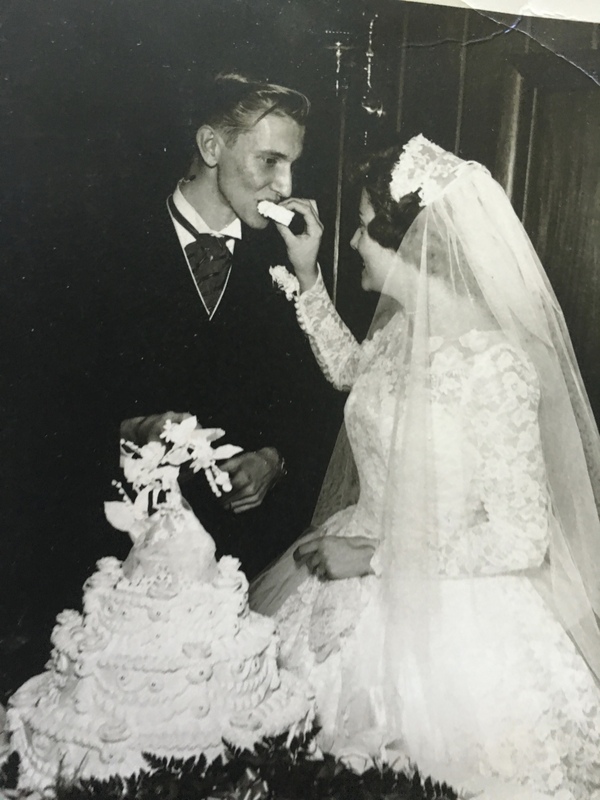 For my grandfather, she will forever be known as the love his life. She was ½ of a dynamic duo. 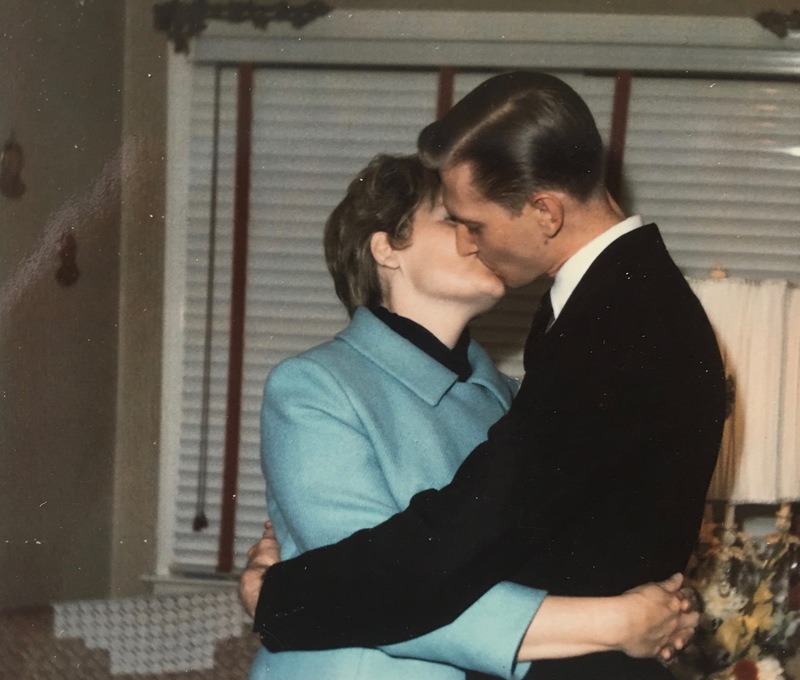 In fact, when going through photos of grandmom to find one by herself earlier this week, it was nearly impossible to find one without my grandpop beside her. Of course like anyone who has been married for 61 years, she would wave her knuckle sandwich behind his back and of course call him out when need be. Let’s face it- Grandmom never held back from putting us in our place and speaking her mind. But there was something about the way they looked at each other from across the room. 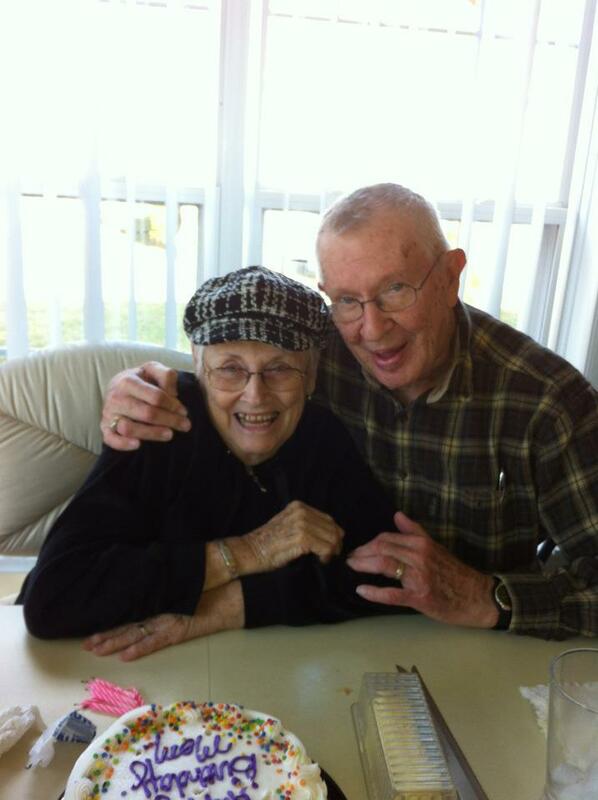 My grandpop was the rock that gave the most comfort to my grandmom during her final days on Earth. I will never forget the way he held her and gently spoke to her about their life together, asking her to save him a spot next to her when she meets Saint Peter. Through death do we part has never been displayed so beautifully than between them. To her four children, she will always be remembered as ‘mom’. Whose unwavering love molded John, Suzanne, Albert and Chris into the hard working, sports loving, and compassionate people they are today. When I reflect on certain things my father has done over the years for me, it is now clear to see her influence behind his actions. She raised my father, John, to be an upstanding father, loyal husband and overall good person who always ends up doing the right thing. To me and my cousins, she will always be grandmom. As our grandmom, she was the catalyst behind our happiest memories growing up. She is the reason why we all have a love for Lucy the Elephant in Margate, know how to properly eat crab legs without leaving any meat behind, and stay up to date on the latest hollywood scandal thanks to her always replenished stack of National Enquirer Magazines. The unbreakable bond between my cousins is a family heirloom our grandparents gave us that is invaluable. They are my best friends, who have the ability to reminisce about the past but continue to create memories in the future. 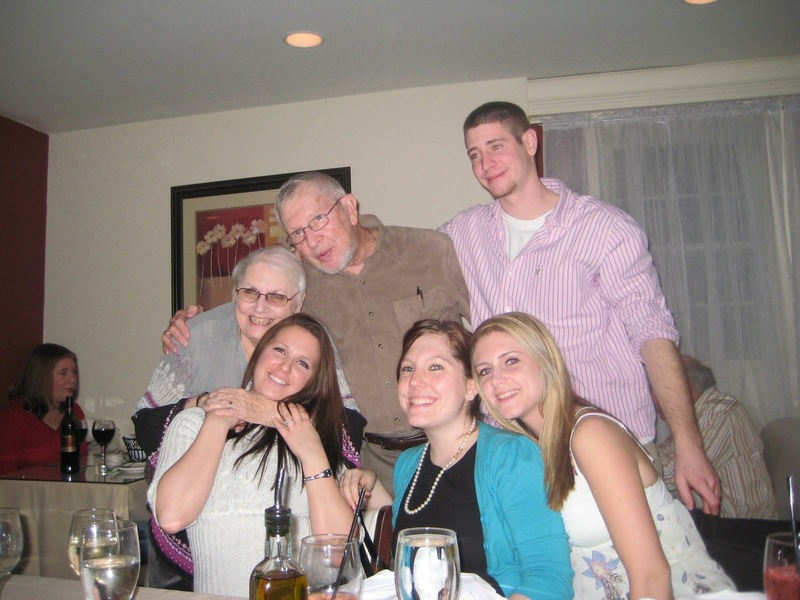 Although I am an only child, because of grandmom I had the experience of growing up with surrogate siblings. We fought with each other over Super Nintendo games, spent endless hours in the ocean, smushed together on their couch devouring the goodies in her candy dish, and rode too many boardwalk rides to count. Growing up, us grandchildren knew that it was all about us when we went to Grandmom and Grandpop’s house. It was our haven when everything around us was chaotic. 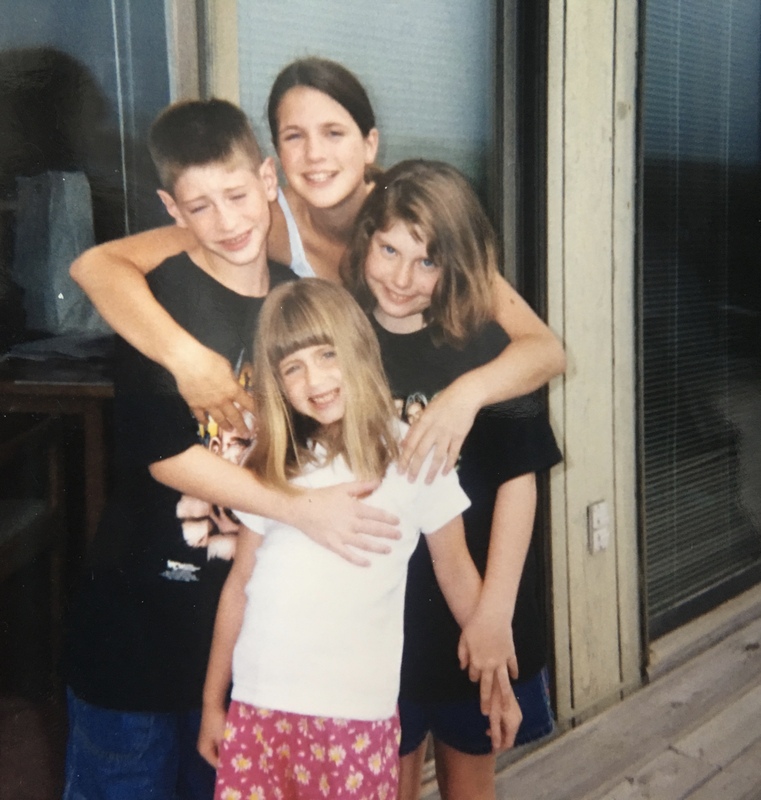 We knew that a sleepover at their house would include a trip to the Hampton Inn swim club where we would have Mcdonald’s for lunch after Grandpop spent hours tossing us around in the pool for hours in the summer. During the spring months, it would include a trip to the St. Anselm’s carnival or or Peddler’s Village where we would be able get pick out new Beanie Babies and get dinner at the Spotted Hog. And we would come back to their house, where we would take a special bubble bath that smelled like her. After a snack of crunchy cheetos or Entenmann’s cake, we would sleep in her backroom where we would stay up for hours laughing. Then in the morning, without fail the smell of her scrambled eggs and toast, in addition to any cereal you could think of, would be waiting on the table. No one did Christmas better than Grandmom. Seriously, the decor of their entire house rivaled the Griswold’s Christmas lights. 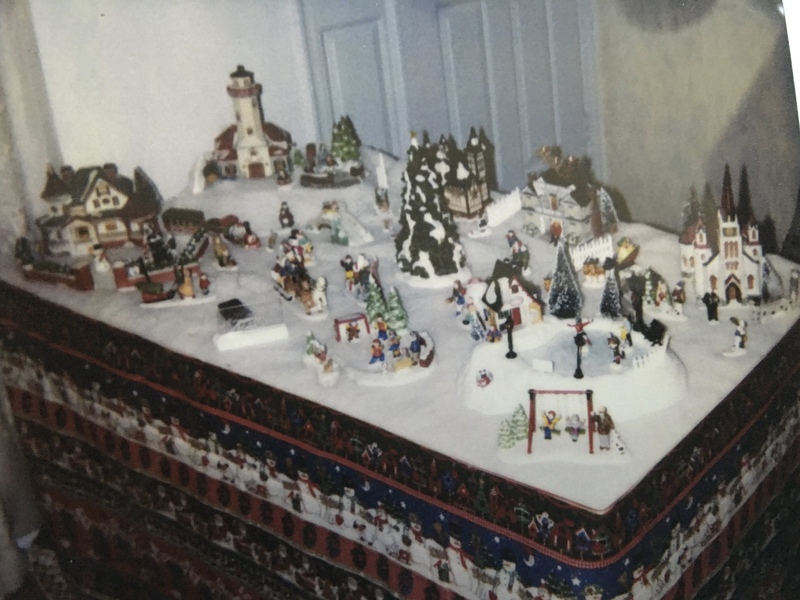 Nothing would be more exciting than walking into her house to find that the annual Christmas village was set up, plugged in with lights on top of fake snow that shimmered. Anamontric caroler dolls moved alongside electric candles in the bow window, with the Christmas tree taking center stage in the living room. During the month of December, she would take me and my cousins down to Wanamaker’s light show in Center City Philadelphia and the Dicken’s Christmas village. Of course this would be followed by a lunch at the Club House diner or the Old Country Buffet. On Christmas Eve, dad and I would go over to their house to walk over to St. Anslem’s Church for mass- where they had live animals in a nativity set up outside. After mass, we would go back to their house to eat homemade shrimp salad, open presents while It’s a Wonderful Life played in the background. During my middle school years once they moved to Yardley, the highlight of our week became Tuesday night dinners. While waiting for grandpop to come home from work, with his three piece suit and briefcase, me and Ashley would lock ourselves in their bathroom, diving into her amazing makeup collection. Ryan, Kelly and I played outside on the tennis courts or just explored. In the summer months, we’d spend all afternoon by the condo pool until our skin was burnt. Every week we would squeeze around the table where we talked about anything and everything. Of course after dinner a Mccaffery’s cake and coffee would be served. Can I remember what we exactly talked- no. But I remember that there was always laughter and by the time we headed home both my stomach and my heart was full to the brim. 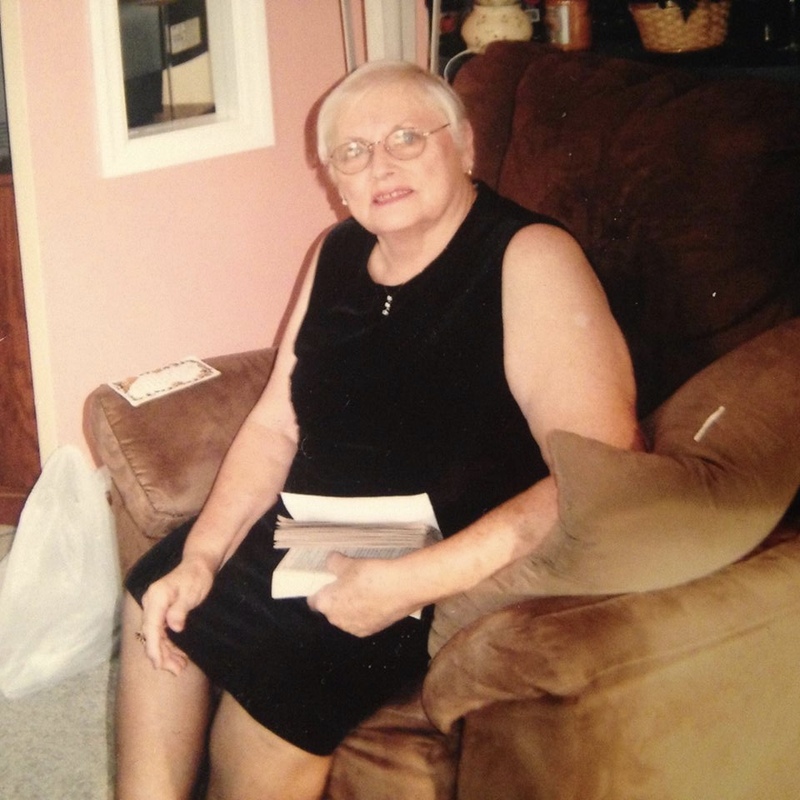 After moving down to Mays Landing when I was in high school, we had countless of outside BBQs under the gazebo where she would give passing by golfers the evil eye if they came too close to the house. In recent years, it has been beautiful to see her interact with her great great granddaughter, Taylor who lovingly called her GiGi. Watching Grandmom hold her on her lap, gush over her drawings and listen to her intently as she rambled on, it was as if I was watching my own childhood over again. I have had the privilege of having grandmom for my entire 26 years of life. Grandmom has been on of the few consistent things in my life- and for all of us. Without fail, when looking out into the crowd at every school play, dance recital, band performance, or graduation, Grandmom was sitting there in the crowd beaming. Whenever we would come to visit, always going through the back sliding door, I knew that Grandmom would be sitting in her brown chair, with whatever sports team was in season on her big screen TV- greeting me with a smile and ‘Hi Tricey’. In fact, she is the only one in the world that ever called me Tricey. Even though the last weekend of her life, Grandmom was in her usual spot in front of the television, and even greeted me with a ‘Hi Tricey’ one last time. 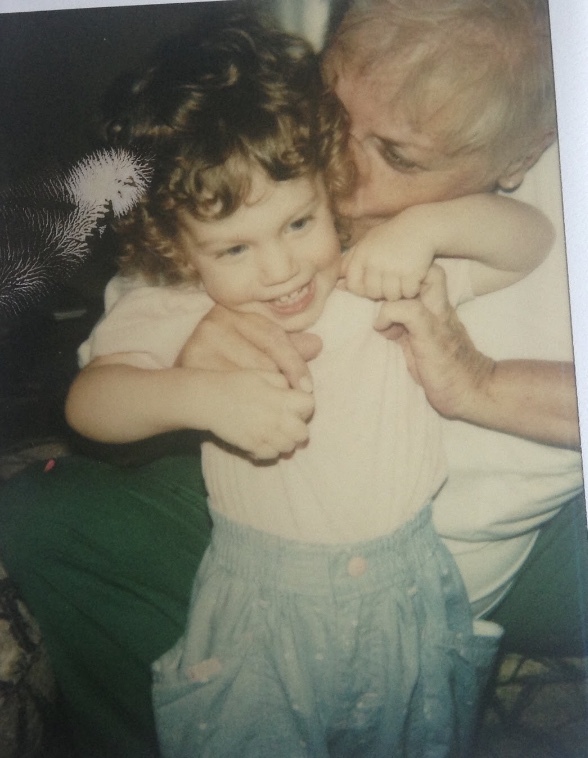 No matter what stage of life we were in, Grandmom was there- from when we were colicky babies, hyperactive toddlers, sassy mouthed preteens or moody teenagers. She continued to love us, accept us. Even when work and school prevented us from seeing each other as frequently, nothing ever changed. 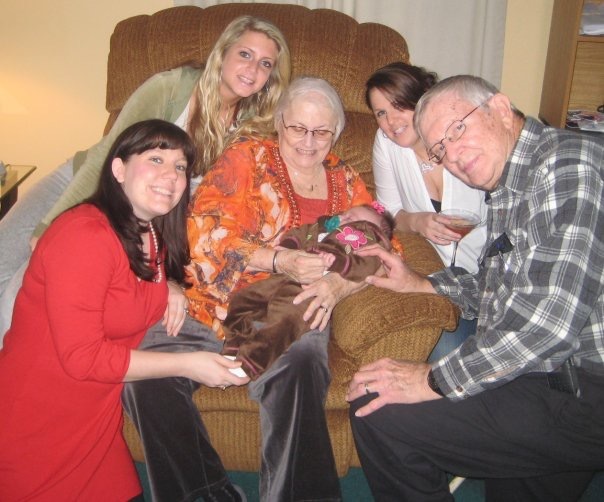 Whether it was 4 days, of 4 years- grandmom never stopped loving us with all of her heart. Without question about what kept us away for so long, Grandmom always opened her home, heart and arms for us. Honestly, I’m not sure what the future will look like for any of us. We’ve never not had our grandmother, our sister, our friend, our mom, or wife. But even though right now all of us are exhausted emotionally, grieving and still in a certain level of shock about the past week- there is one thing that we know. She would not stand for anything else but for us to all rise to the occasion. 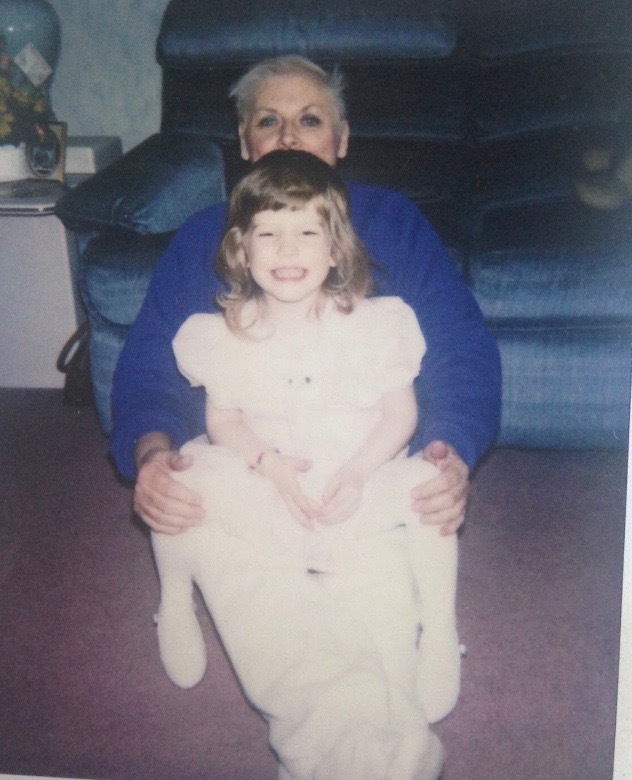 To continue her legacy by now being the ones to make the time and effort to create the memories over baked goods and coffee, share barbecue dinners while watching the Phillies, and just being present when one of us needs each other. Over the past week, we have proven that it is in all of us to do so- as we surrounded grandmom with laughter, love and warmth as we stood by her as our hearts broke when she went to be with the Blessed Mother and her own mother in heaven. And for each of us, we will have a special way of knowing grandmom is with us. For me, whenever I see a butterfly among roses, encounter anything Oprah related, listen to Mama Mia, and unwrap a chocolate junior tasty cake- she will be there. Last weekend, one of the last things she said to me was that I was a good person, and to never change for anyone. And I will try my very best to continue to be the type of person she helped raise me to be: compassionate, optimistic, loving, and kind. After all, I did learn from the best.